I like to give my daughters a little something for Valentine’s Day and my husband always gives me a hard time for making every holiday a gift-giving day. Even he can’t argue with this inexpensive Valentine’s Day gift. Who doesn’t love Starbucks and chocolate? 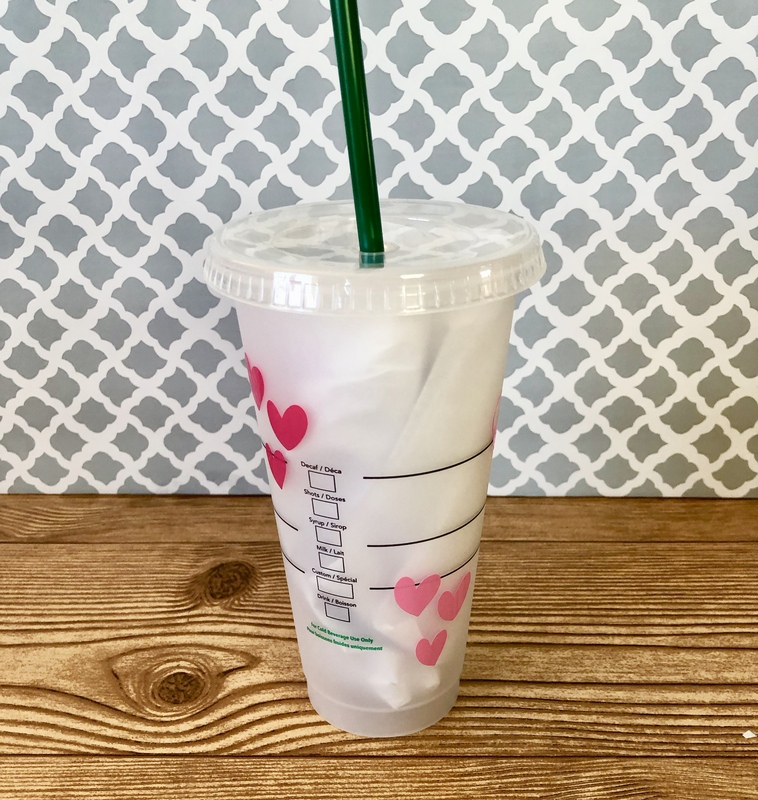 Starbucks has these reusable cold drink cups for about $3.00. 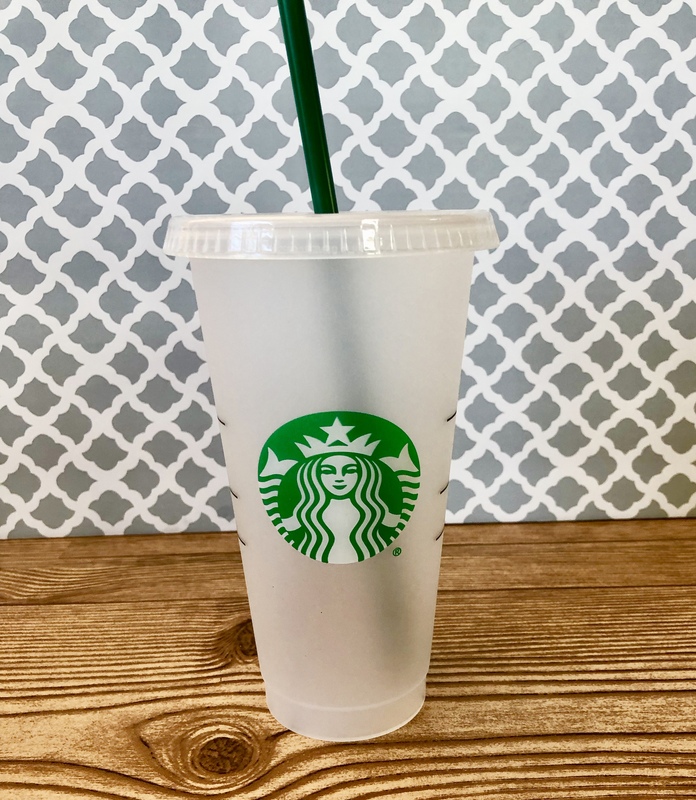 They are plastic, NOT acrylic, and they come with a reusable straw. I got mine at the Starbucks in my Target so I saved 5% with my Red Card. Score. Now they say they are dishwasher safe for the top rack, however, if putting vinyl on them, I would skip the dishwasher. Grab a couple of sheets of Oracal 651 vinyl. I got mine at Michaels but you can order this pack of great colors on Amazon. 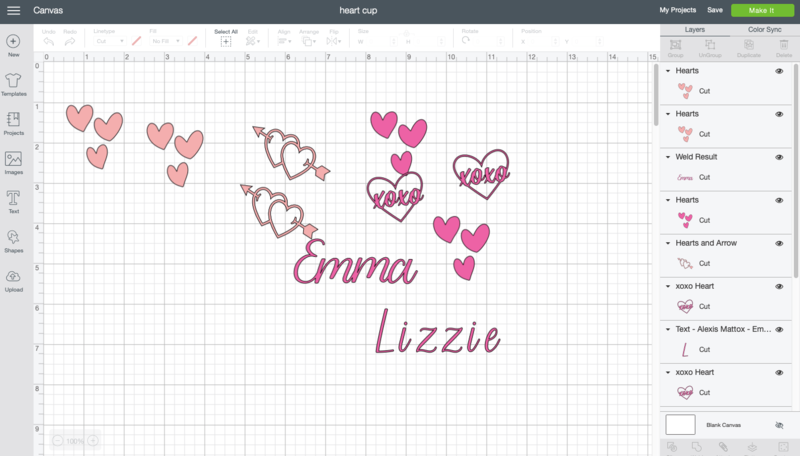 Thanks to my subscription to Design Space, I was able to use some cute hearts to decorate the cups. They even have a cup canvas you can use to size your designs. 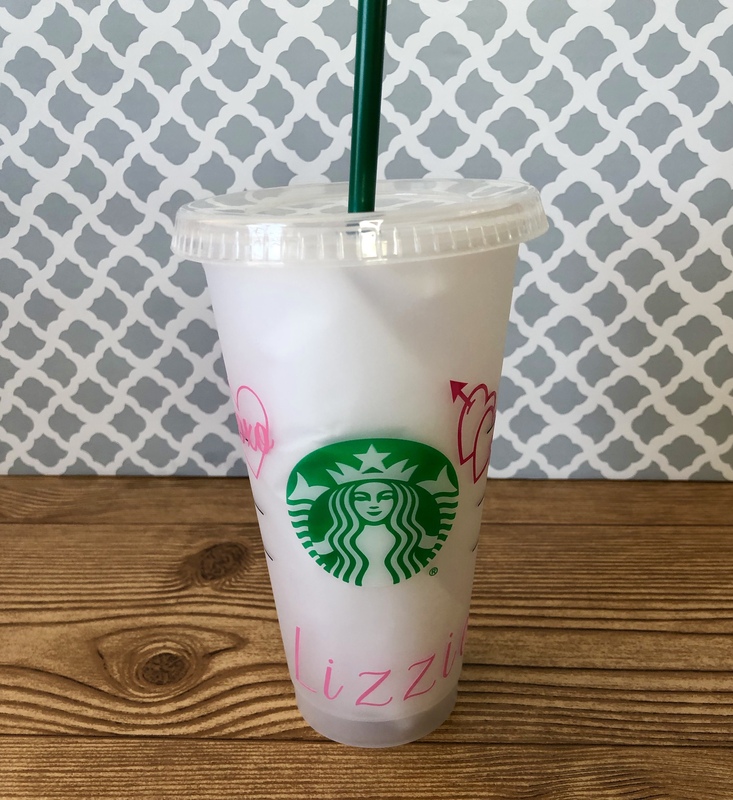 Using my Dollar Tree clear contact paper, I transfered my vinyl designs to the cups. The white tissue paper helps the design stand out for the pictures. What’s Valentine’s Day without chocolate. 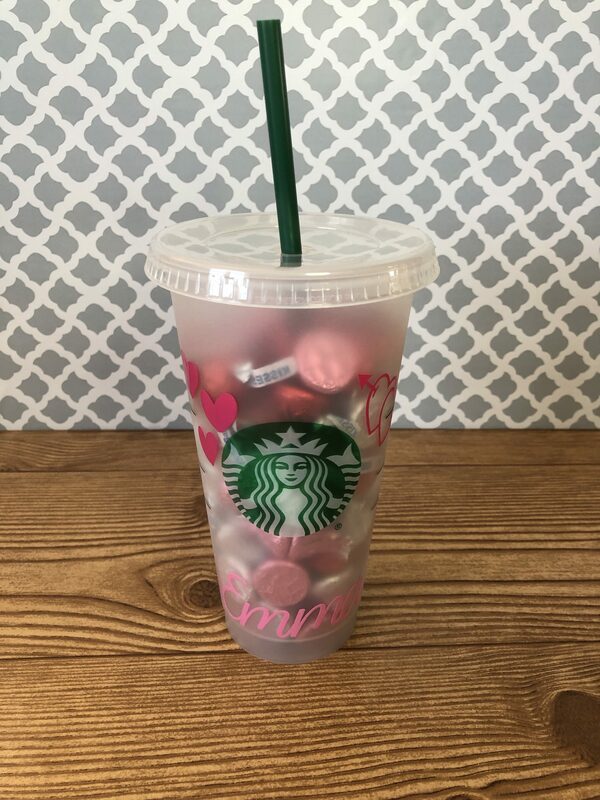 Fill the cups with Valentine’s colored Hershey Kisses. The cup holds about one 11 ounse bag of Hershey Kisses. A cute little gift for around $6.00!